The arching pinnate leaves occur in three distinct vertical rows, hence the common name. Fruit are 1.5 cm wide, green at maturity. 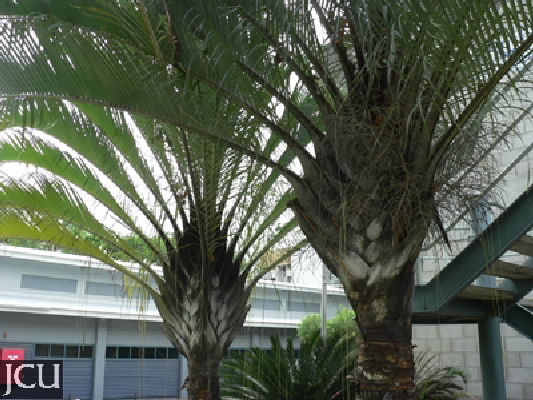 This species, a native of Madagascar, has also been known as Neodypsis.